Despite the widely recognized risk of failing to pass the electoral threshold, three small, right-wing parties has so far been unable to form an alliance. On Thursday, a two-hour meeting between the Jewish Home and National Union parties failed to produce a coalition. At the same time, National Union and Otzma Yehudit were also at an impasse, according to Arutz Sheva. The impediment to Jewish Home-National Union unity (they ran together in the last election) is reportedly a disagreement over leadership. 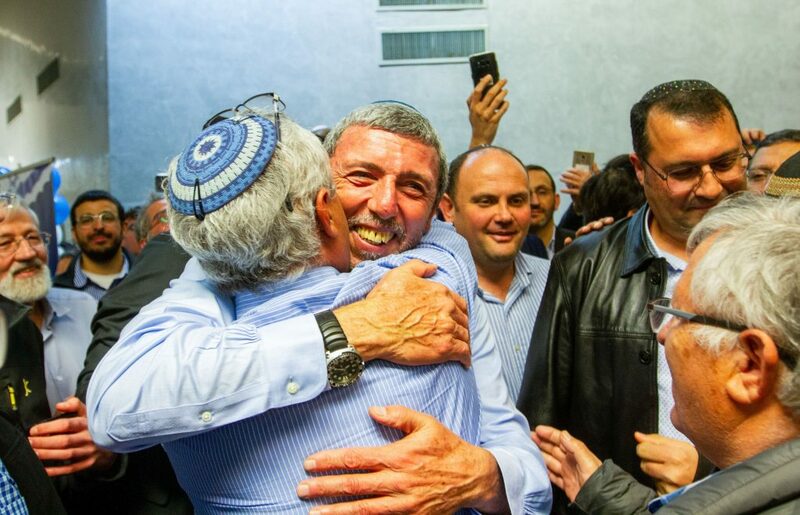 Jewish Home wants Rabbi Rafi Peretz, its newly elected leader, to head a joint list, while National Union wants MK Betzalel Smotrich to take the lead. On the National Union-Otzma Yehudit track, MK Orit Struk was blamed for the stalemate. “We were surprised by the behavior of Orit Struck,” Otzma Yehudit officials were quoted as saying. Founded in 1999 as a combination of smaller right-wing and national-religious parties, the National Union currently includes the Tekuma faction – which broke off from Jewish Home’s predecessor, the National Religious Party – and Moledet, which endorsed the voluntary transfer of Palestinian Arabs out of the country. In both the 2015 and 2013 Knesset elections, various iterations of what is now Otzma Yehudit barely missed the electoral threshold, resulting in tens of thousands of right-wing votes going to waste. Otzma Yehudit is led by former Kach movement activists Michael Ben-Ari, Baruch Marzel and attorney Itamar Ben-Gvir.